What a difference 12 months can make. 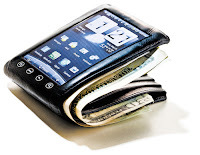 Industry conversations at 2014’s Mobey Day (Mobey Forum’s annual open conference for all mobile money stakeholders) told of an industry undergoing major disruption. Just 12 months later toward the end of 2015, the industry vibe had changed almost beyond recognition, particularly in the mobile payments arena. Consternation, hesitancy and all-out frustration had given way to optimism. Last year’s disruptions have become this year’s tools of liberation, enabling banks, finally, to make progress. Contactless adoption has rightly been celebrated - the payment schemes are proud of their achievements. Andrea Fiorentino of Visa Europe, for example, told Mobey Day delegates that he has never seen a faster shift in European consumer payments behaviour than with contactless take-up in the last twelve months. Shortly after, Chris Kangas of MasterCard, revealed that European MasterCard mobile NFC taps are up 170% year on year and have tripled total transaction values. In terms of uptake, 2015 has provided a strong indication of things to come. The spread of tokenisation as a means for securing cloud-based HCE and embedded SE NFC solutions has spawned a whole new market for service provision. Inevitably this sector began life with the payment schemes that collectively defined the EMVCo framework, and are now seeking to recruit banks to their proprietary platforms, levying fees for tokenisation and detokenisation as a result. But as we approach the new year, the space is quickly being populated by other stakeholders, including payment processors and independent platform developers, who are all intent on delivering a greater degree of control and commercial independence to banks and other issuers. This will become a crowded market in 2016. It has been good in 2015 to hear the industry validating a much-vaunted message of Mobey Forum’s: that value added services are a necessary pre-requisite for mass market mobile payments adoption. In this regard, Proxama’s Andy Ramsden presented Mobey Day delegates with some compelling VAS deployment use cases, enabling mobile users to tune in and out of mobile marketing promotions that are tailored not only to their buying preferences, but also to their whereabouts. Cultural variations will determine the form that these services take, together with their success. The degree to which value added services can be used to generate engagement with a bank’s customers will be the key here and will present a challenge for the international payment brands. An unsolicited ‘suggestion’ may be welcomed in one market, but may be disregarded, or worse, branded intrusive in another. Spain’s innovative CaixaBank has been particularly active in this emotive area recently. The bank is converging its multi-channel approach into a single ‘ubiquitous banking’ user experience through which it is delivering action, time and location specific personalised services to customers, over the devices and channels they choose. The aim here is to provide customers with a continuous line of personal finance support; a service that interjects at just the right time to help users see the full picture and make better financial decisions by managing their bills before they are due, for example, track spending at their favourite stores or avoid nasty surprises with smart spending and balance alerts. The success of this approach draws heavily on the willingness of the customer to get ‘up close and personal’ with their bank and will, again, need to be tailored sensitively to the cultural nuances of each issuer’s user base. No fintech review of 2015 would be complete without discussion of the endlessly fascinating topic of blockchain. With a wry nod to the media frenzy that has engulfed the technology, Consult Hyperion’s Dave Birch described the technology to Mobey Day’s delegates as ‘the answer to everything’. The satire is, of course, justified; coverage of this emerging tech has been inconsistent, to say the least. Are we talking blockchains or the blockchain? Or the private chain? Or are they shared ledgers? Permissioned or permissionless? Fortunately, he and Veronica Lange of UBS were able to bring clarity to the debate and offer guidance for banks looking to make sense of it all. What is clear amid the hyperbole is that blockchain’s potential stretches far beyond its first incarnation as the technology underpinning Bitcoin. Putting definitions aside, the idea of the shared ‘single version of truth’ is hugely exciting in financial services terms. Any technology that has the potential to make banking and financial services a more transparent and auditable practice should be welcomed. Then again, blockchain also has the potential to disrupt and disintermediate all manner of traditional stakeholders, including payment processors, schemes and even banks themselves. As the hype settles in 2016, it will be fascinating to track commercial deployments. 2015 has also been the ‘Year of the Pays’, with Apple, Samsung and Google all entering the market and launching, or announcing plans to launch, in Europe. Microsoft is also waiting in the wings. As a result, most banks are likely to back more than one horse next year, in order to reach as wider base of customers as possible. Some will launch proprietary solutions, as well as participate in the OEM’s ‘Pay’ solutions. Questions remain, however, over whether the Pay solutions hold long term benefit for banks or not. Sure, via an OEM Pay solution they have an off-the-shelf route through which they can deliver NFC services to customers quickly, but they also have to surrender valuable transaction data for the privilege, together with the new communications channel. As 2016 takes shape, banks will need to think carefully about how they engage and what they are sacrificing in order to do so. What is clear, is that banks can no longer choose whether to share their customers or not, and will have fight to keep their brands alive. Payments aside, the launch of Apple Pay has had another transformative effect on financial services: it has popularised biometric authentication. Compared to entering a PIN or a password, biometrics offer a fantastically convenient user experience, one that is well suited to the mobile environment, so it’s easy to see why Touch ID has been such a hit. Naturally, banks and financial institutions are keen to offer this experience outside of Apple’s domain, but first, they must ensure they strike the right balance between convenience and security. For most financial use cases, biometrics should form no more than one component in a multifactor authentication environment. Current positive consumer attitudes give a degree of early mover advantage, but there is much more work to do to develop common standards, evaluation criteria and certifications. Rarely has there been a more exciting time to work in fintech, and I have a sense that 2016 will be no different. Old deadlocks have been broken. Traditional players are adapting. New players are here with more arriving every day. The tech is developing almost as quickly as the ideas that drive it. Right now I’m finding it harder to see what’s around the corner than in years gone by. And you know what? That’s no bad thing at all.